My friend Amanda of Serenity Now hosts a monthly "Dishing It" party aimed at helping bloggers get to know one another. One of many great things about Amanda is that she values blogging as a means of interacting with other people, and she hosts parties at her blog to promote that kind of interaction. She's one of the nicest girls you'll run across in the blogging community. Today's "Dishing It" topic is "Summer Rewind." That's a great topic for me, because this has been one of the best summers ever here at our house. Why? Mostly because my husband and I celebrated our 25th wedding anniversary. An amazing feat for two people who are obviously only 36 years old! (Well, 36 plus 10.) 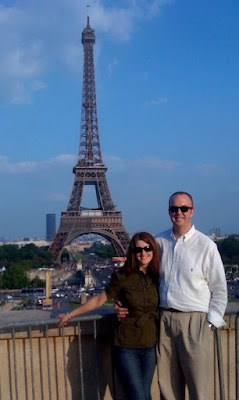 We celebrated big-time by taking a trip--a second honeymoon--to Paris. I think I'd have to say that our second honeymoon was better than our first honeymoon! In addition to our anniversary travels, we've had a good time with our kids this summer. 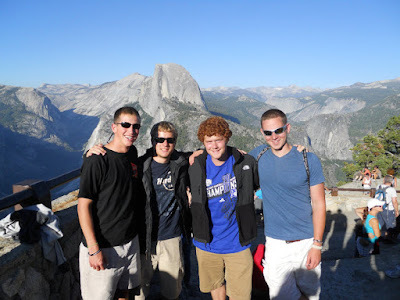 Our oldest son spent 10 weeks in Santa Cruz, California on a Summer Project with Campus Crusade for Christ. A real highlight for me was getting to visit Will in Santa Cruz. It was such fun to see him with his wonderful friends, all of them working to serve God and grow in their relationships with God and each other. Our two younger sons were at home with us all summer, and I'm awfully glad--I'm not quite ready for my nest to be empty yet! I also had the privilege of attending the Renovare' Covenant Retreat this summer. Founded by Richard J. 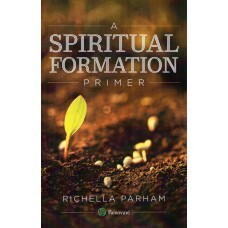 Foster, Renovare' is a ministry advocates, encourages, and resources spiritual formation and intentional living. No ministry has impacted my life more than Renovare', and I am so thankful to be a part of this fellowship. And I was thrilled when I was recently asked me to become a Renovare' blogger! Click here if you'd like to read the first post I wrote for the Renovare' blog. As for things I've accomplished around the house, I'm afraid my projects have been few and far between. I'm currently working on some much-needed de-cluttering, but that's not very exciting. I did make this cute ottoman from a styrofoam cooler, and we're enjoying it on our screened porch. It's small but very sturdy--just right for propping your feet on when you're relaxing. Click here for the tutorial. Summer's almost over for us; all three boys go back to school in less than two weeks. I think I'm ready to get back into the routine of school days, and I'm definitely ready for autumn weather! Richella - wow - Paris? How amazing that must've been! I think I saw another post about that trip? I seem to remember seeing a few pictures, maybe? I know you must be so proud of your son for participating in the Campus Crusade for Christ. I, like you, am ready to get things back to normal with school starting! I'm sooo ready for fall. I'm tired of 100 degree days! Sign me up for that Fall weather too!! ;) It's so funny that you said your 2nd Honeymoom was better than your first. I hope the same is true for us too. We were so young (and had no money)...I'd like to be able to do something fancier. I loved your ottoman post! I want to go to Paris! Your hubby looks tall - mine is 6'6" - so we end up with similar touristy pictures! :) Love that styrofoam cooler ottoman, that is cool...glad to hear you're enjoying summer - but ready for fall...I can't wait for some good, cool nature walks! :) Have a great day!! The ottoman is adorable too! Sounds like a wonderful summer!! Happy anniversary to you!! What wonderful opportunities!! I am so glad for you that you got to experience them this summer! It is so nice to meet you! Thanks for stopping by Hospitality Lane. We are just about in the same place in our life. Our kids are 19, 17 and 15. Our middle son will likely be attending a two year horticulture program which begins in January. That would make him the first to move out. Your second honeymoon looks amazing. That must have been a dream come true. You had a busy summer with some fabulous trips. Paris must have been something else. Enjoy what is left of summer! Bonjour! Sounds like the trip of a lifetime. Wishing you many, many more happy years. Richella, can you just follow me around and leave comments every 5 minutes? Thank you so much for your precious comment at Emily's yesterday. I am still glowing. Wow! Congratulations on your anniversary. And I must say you do look so young in your pics:) It looks like you have a beautiful family and you've done well raising sons that love and serve the Lord. I'm just starting out and that is my prayer for baby James too. Blessings! -visiting from Serenity Now. Congratulations on 25 years! So I need to tell my husband that in 10 years, I expect a trip to Paris! We never went on a first honeymoon...so he owes me!! Sounds like you had a wonderful summer and like you have a family to be proud of! It was so good to "meet" you! I too am ready for school - mine start Wednesday! Congratulations on your 25th! What a wonderful trip and celebration for you. Hi Richella, thanks for stopping by my blog earlier - it is always nice to meet someone new! congratulations on your anniversary-wow, Paris, what a great trip to celebrate! love the ottoman you made-what a great idea!